A couple of weeks ago, financial expert and best selling author Suze Orman joined Wendy Williams on her show for a special money segment of Ask Wendy. I’m a huge fan of the wisdom Suze spills on money, however, I cannot cosign the advice she gave to a woman who is about to be married. Marriage is about oneness in every area including money. In the segment, a woman asked advice on merging finances with her fiancé. They already have a joint account plus individual accounts. Here’s a word of advice from me to you; no joint financial accounts UNTIL marriage. Okay, back to the woman. When she asked if they should merge everything into one account, both Suze and Wendy yelled a loud resounding NO then continued telling her NO, NO and NO again as the audience clapped in agreement. Am I crazy? I mean how backward is it to join money with a fiance yet question if you should join it when you become husband and wife? Seems like women are causing a lot of problems today in relationships. As I said in this post, we want to pay our own way on dates to maintain our power and show the man we can take care of ourselves and then we want to bring that same mentality into a marriage. Good luck men! So here’s the bad advice from Suze; “Keep your power girlfriend. Keep your power because if anything goes wrong, you want your own credit cards, you want your own money, you want to be able to leave without having to ask permission because if you want to go, you need to get going on your own.” Well, that’s a great way to start a marriage; hatch an escape plan just in case. Wendy chimed in and said she doesn’t mind them keeping the current joint account they have then told her to keep her money separate from his at a totally different bank. Apparently, bank tellers get friendly with spouses and share information. If she keeps her money at a separate bank, her husband will never be privy to her account. After Bible study, I went into the city to the gym but first stopped at Eataly to grab a bite to eat. 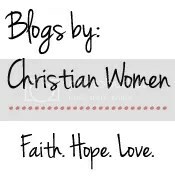 Somehow I ended up sitting next to two lovely ladies who happen to be Christians and we got into a very passionate conversation about what was shared at Bible study. As we talked, one of the ladies pulled out her cell phone and showed me the screensaver of a darling little girl with beautiful eyes; her four-year-old granddaughter. She was almost moved to tears and heartbroken as she told me about her daughter’s divorce; “Everything you just shared is what I’m living. My daughter had a great marriage until she got caught up in this new movement of women fighting for equality. All of a sudden she wants to be her own woman with her own money doing her own thing in her marriage. My heart broke for her. My pastor concluded his message by saying, “Marriage is about oneness in every area. Some of you want to be one in some areas and not others. You want to keep your own money and call your mom every time there’s an argument. If you don’t want to leave and cleave and you don’t want to become one in every area, then don’t get married. It’s that simple. Stay single because that’s a gifting some people have but don’t get married and maintain your singleness. That’s ridiculous!” Let the church say Amen. It’s absolutely ridiculous! What say you? So, do we merge our money in marriage or do we keep separate accounts? What advice can you offer to singles? How much does oneness play into how finances are handled? What’s your definition of oneness? How does it look to become one flesh? Yvonne, I agree with you and your pastor…everything about marriage is oneness, even money and bank accounts. I don’t understand having separate accounts where one person in the marriage has access to it and makes decisions independent of the other. That’s not the picture of a partnership. I like your equation: 1+1+1=1 and the explanation you offer. It’s great and in alignment with Gods word and his plan for marriage. Thanks for sharing. I appreciate your thoughts on singleness and marriage. I certainly understand the idea of oneness in marriage in all areas. Thank you for sharing at #TellHisStory. Agreed on counts. Open, honest, committed…even in our finances. Visiting you from Lyli’s place today–I’m glad to have found you! A.M.E.N. !! I couldn’t agree more!! What kind of bogus advice we are feeding our families. I love how your pastor put it. Separately they have no money, but together, wa-la! Great perspective! I can’t with the bogus advice. It’s so annoying! Together we have everything in marriage. Wa-la! This post is spot on. Why would we go into anything planning to fail! Thanks for the wisdom that you bring to these areas. Right! It’s like deciding to run the NYC marathon yet thinking you can’t do it and you won’t make it. Why even lace up your sneakers with that mentality? Might as well do something else because you won’t make it past the first mile.